Printed in France, the first volume of The Gould Collection is designed with a mix of papers. Dixon’s short story Change appears on iridescent blue pages woven between Hara’s richly saturated images. 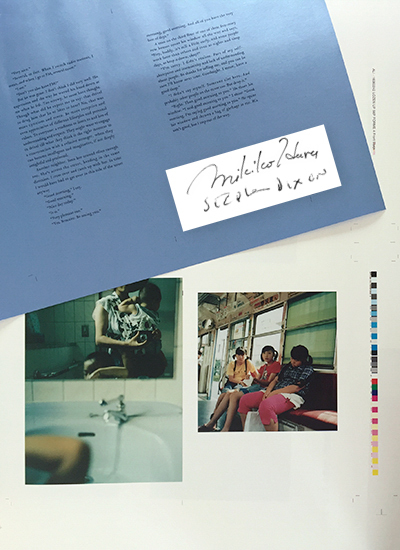 Signed copies have a tipped in signature slip adhered to the title page and are signed by both Stephen Dixon and Mikiko Hara. Signed copies still available with a special edition purchase.